Who can tell us the truth about love? That’s right, this tiny bit of futuristic looking tech is actually a mini-organ: a human liver on a chip. 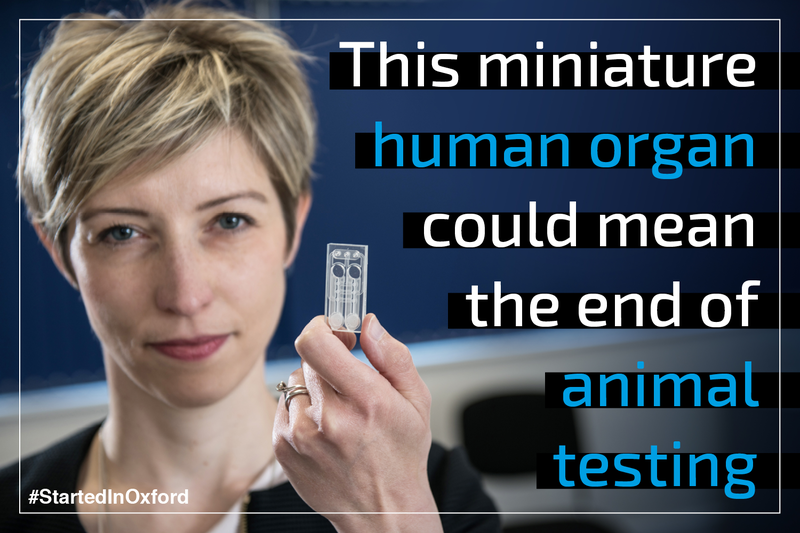 This revolutionary invention, from Oxford spinout CN Bio Innovations, can be infected with diseases and given new medicines to treat them – and the ‘organ on a chip’ responds exactly like a real liver! All medicines must be tested in the lab before they are given to humans in case they are toxic. Animal testing has been the main way scientists can find out if drugs are likely to be safe, but thanks to this breakthrough there may be no more need for it! What’s more, animals often do not respond to drugs in the same way as humans anyway, so these tiny organs will give far clearer results than animals ever could. But CEO Dr Emma Sceats isn't going to stop there. CN Bio are working with international researchers in a race to develop a whole human body on a chip, with all the internal organs represented by little devices just like this one, which would completely change the way drugs are developed and tested, and make vital medicines much, much cheaper. Forget the salt and vinegar, we’ll have a liver on our chips please!